In the nine years since Monopoly-man-come-to-life Joe Ricketts and his cartoonishly wealthy progeny purchased the Chicago Cubs from the Tribune Company, the Ricketts dynasty—publicly represented by 55-year-old investment banker and public transit enthusiast Tom—have found themselves in repeated disagreement with the Chicago political establishment. Though Tom Ricketts tends to (wisely) keep his political opinions under wraps, and the family does contain a sole Democratic activist in daughter Laura Ricketts, the remaining Cubs owners are deeply involved conservative players. This presents a problem when, say, a racist anti-Obama ad funded by a Ricketts-founded PAC leaks and the mayor is so furious he refuses to return your calls. Back in 2013, when the Ricketts had not yet broken ground on their renovations to Wrigley, these disagreements appeared to have inspired at least some of the family to, according to emails acquired by Splinter, consider abandoning the project—or moving the Cubs to a friendlier location, possibly in the suburbs, where the liberal mayor wouldn’t be so dismissive of all the hard work and capital the billionaires poured in to the field as a favor. I just hate the thought of Tom having to grovel to this guy to put money into a building we already own. Yes Todd, it makes me sad, it hurts my feelings to see Tom treated this way. He is way superior to the Mayor in every way. I have been brought up to deplore the type of value system adopted by the Mayor of Chicago. This is stating it mildly. 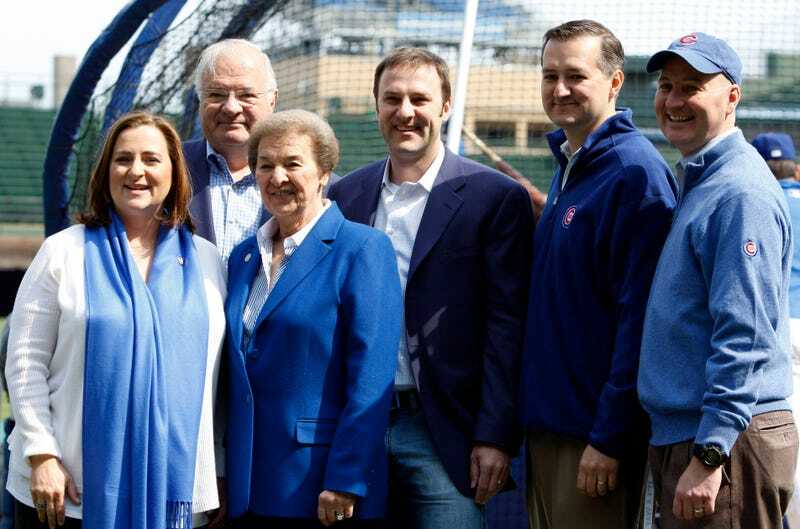 Though Tom Ricketts is the chairman and public face of the trust that purchased the Cubs, ownership is split between Joe Ricketts’s children, including Todd. The Ricketts sons did not responded to a request for comment on these emails. Ultimately, no tax dollars were spent on upgrading Wrigley Field, and the Ricketts grudgingly paid for the $575 million, five-year renovations that will conclude this winter. Meanwhile, the relationship between the mayor and the Ricketts family does appear to have improved since the Cubs won a World Series. Still, it remains rather awkward when the family that owns a major baseball team in a liberal city spends more than half a million dollars to air pro–Brett Kavanaugh ads.